I studied philosophy and always wanted to find a way to express thought through picture. I worked with a photographer, I wrote copy about landscape and how it's perceived for a study we did in Svalbard. But I did not agree with the separation of media; text and photo. And I really wanted to create pictures with rhythm; so I logically turned to cinema. I borrowed an Ikonoskop A-Cam SP-16 -because I was looking for a light, convenient and reliable camera- and shot my first movie. I liked how that went, so I shot several documentaries since; all about the ways we interact with our environnement and how we make an event real. I continue to shoot, develop and theorize about creating images for social sciences, research and pedagogy. I am now head of the department of digital projects at SciencesPo in Paris, France. 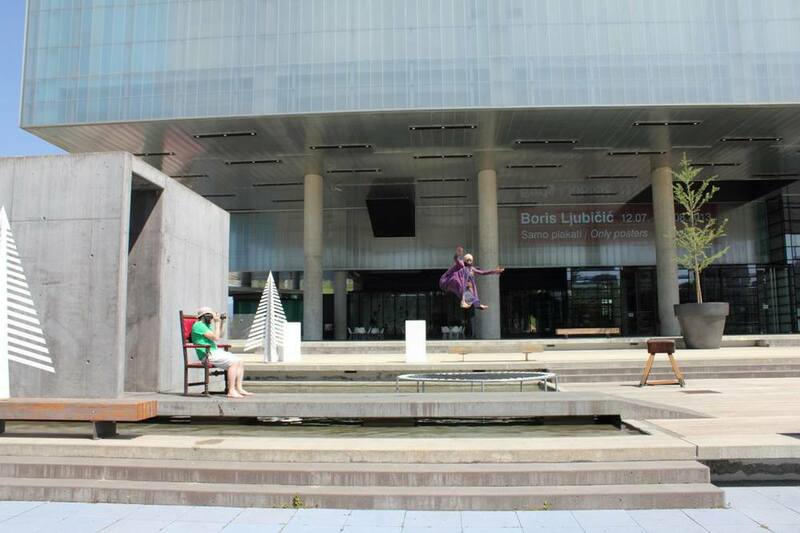 What's the story behind 2Fik: Reinterpreting Bukovac? When did you decide to make it and why? I discovered 2Fik's work in Paris and New York and was very impressed by his performances, photographs and way of working. 2Fik's oeuvre questions culture, identity and gender through situational characters which he interprets himself. During summer 2013, he was invited for artistic residency in Zagreb to reinterpret a famous painting by Bukovac, and proposed to me to film the process. I wanted to make a movie showing the effort and the concentration of the artist before the performance, to show the thought process and the preparation behind the action. The film has been screened at the 21st Lavender Languages and Linguistics Conference in Washington D.C., at the invitation of the organizers in presence of the artist 2Fik. 2Fik discovered the film with the public, which was quite stressful for me, but he liked it and told me he did not know he was working this way, which is a compliment. The public at the conference seemed to be very suprised by the film, which was announced as a “documentary", but I am not sure they expected this kind of movie, using techniques of visual anthropology. The silence made an impression, some people told me that they was exhausted at the end by the emotional presseure the silence brought, which was exactly what I wanted. During the debate after the projection, Denis Provencher, who wrote about 2Fik, pointed out the different roles the beard and the veil play in several parts of the movie; and the fact that moving picture can reveal some cultural aspects in a sharper way than words. The film starts with this very long opening sequence (almost a complete one-taker to begin with), with only action, no words. But I think it works, it's mesmerizing and intriguing. Was that an evident choice? My intention has always been to use moving pictures to express a thought in a visual way, not to try to put verbe into image, but rather create images of what it is difficult to verbalize. That makes my films quite different of what we sometimes call documentary. To leave people mesmerized is exactly what I wanted to do, because I myself was fasinated by what happened, by the beauty of the gesture and the creative process. And as I edited listening to the Stabat Mater by Rossini it made sense to include it. Music helps to give it its rhythm, and eases the silence. My hope is that the spectator does not immediately becomes aware of the fact that there is no music anymore. And people effectively notice the silence afterwards, because of the consistant effort it requires from the viewer. I think that the movie would work silent. It should even work better. Director's cut if you want. Editing was obvious and evident. And as the shooting was in natural light, the Ikonoskop helped to capture very subtle colors and shades which I guess alows the hypnosis of and by the picture. Using the A-Cam dII was quite obvious for me. I love the A-Cam SP-16 but was looking for something more convenient for processing, so I turned to its digital version. I received my dII when I was almost finished shooting my previous film about elections (http://real-fiction.fr/archives/category/films/elections), so only a couple of sequences in that film are filmed on the dII. 2fik: Reinterpeting Bukovac is my first film entirely shot on the dII and the quality of picture is fantastic, the color vivid. dII is the extension of my eye and I wanted just that, without any rig, no tripod, no sound ... just my eye. I am using the dII as a simple prosthesis of my eye; like glasses. It is light, sometimes too light, and there is an effort to make to work with it. Having only two 160GB card to wor with implies that I really have to think about what to shoot. So, having to plan every shot, leads to a filming attitude I like, without much redundant footage. I am using a 9.5mm Arriflex Zeiss, which is for me the perfect lens. Bright, wild, and allows to shoot very close and bringing af field of view that I consider to be the most natural for me. No other accessory. No tripod. No mic, no sound. I processed the picture with Blackmagic Design's DaVinci Resolve and edited with Adobe Premiere. 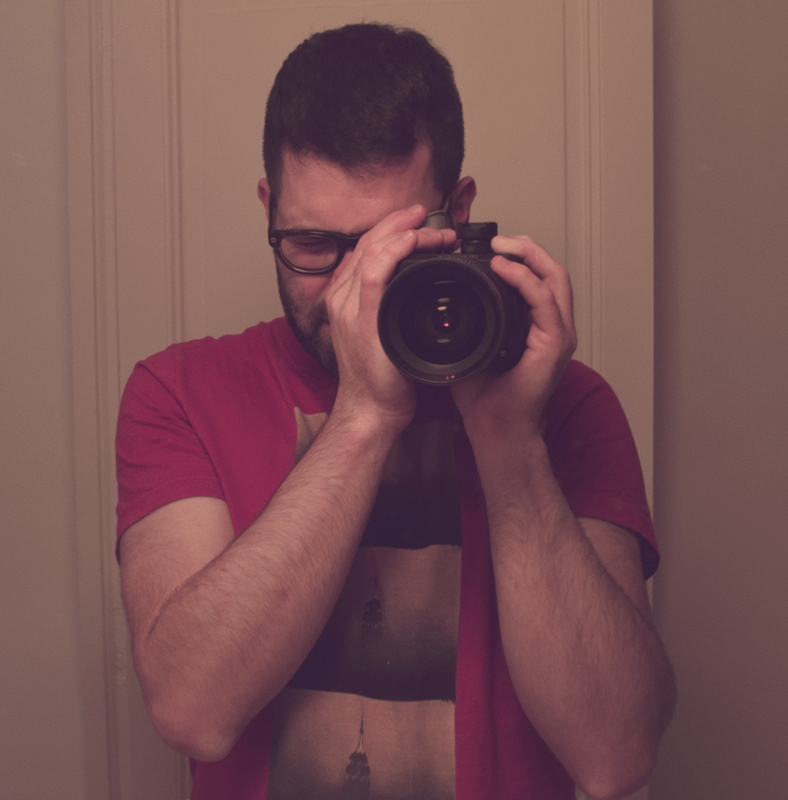 Self-portrait of Benjamin Sylvand, shot on the A-Cam dII. I am currently making a web-documentary on research and writing a book about the use and creation of moving picture for pedagogy and research.